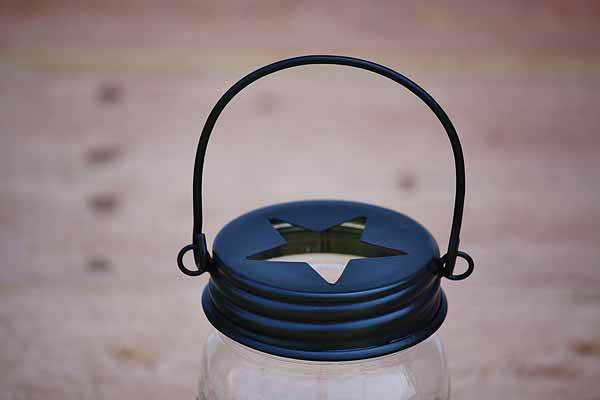 This mason jar hanger with a star design is perfect for celebrating the Fourth of July or a candlelit dinner. Use it for candles, flowers, pencils, and more. A mason jar hanger adds beauty and organization. Fits regular mouth mason jars. Dark bronze color.